Most kind, thank you, Carolyn. 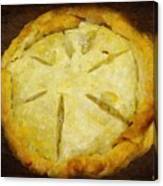 This ia actually a chicken pot pie I made for my brother who was in the hospital waiting for a new heart. 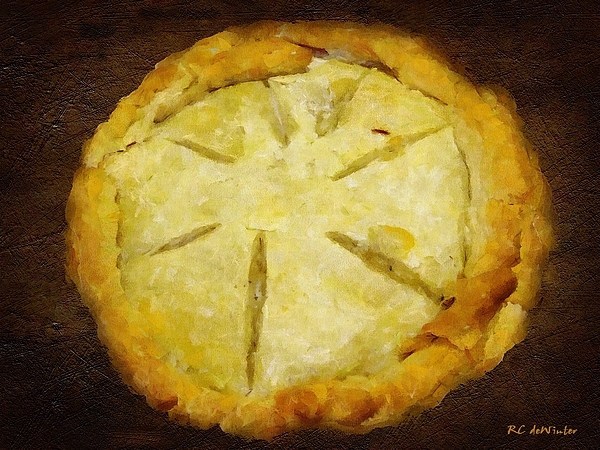 Copyright 2010 RC deWinter ~ All Rights Reserved Who makes pies from scratch anymore? I do! Baking has always been one of my most enjoyable pastimes - both in the doing and the eating. 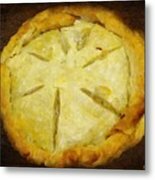 This pie, with an artisanal crust, is one I prepared for Mother's Day. My brothet Tony was in the hospital waiting for a heasrt transplant. (He got one in the nick of time, literally). My mother, brother and I enjoyed it immensely in his hospital room. 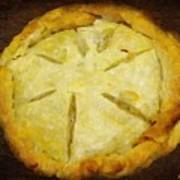 It wasn't dessert, it was a homemade chicken pot pie. Take that, Marie Callender! This painting has been FEATURED in Arts Fantastic World Less Is More Pin Me Round Circle Photography Or Paints The SPACE Between We Paint Every Day Thanks to the group hosts for their encouragement and support.